Shakespeare mused, in “As You Like It”, on the seven stages of a man’s life. What can be said about a life passed in the 19th century, say, here in Suffolk? First of all, it was important to be baptised. Many infants died young, and the vicar would have you believe that, for a baby, baptism was the only sure passport to Heaven. Assuming that you managed to survive infancy, you would have to be properly clothed. That meant a dress, even if you were a little boy. Boys from wealthy families were kept in dresses longer, but by the 1890s it was rare to see a boy of over 6 in a dress. A rocking chair would keep you out of harm’s way while your mother got on with her many chores. In towns there was obviously a wider choice, with more apprenticeships, and some shop work. When they were at school, many children would find it hard to concentrate, on account of over-crowding and under-nourishment at home. It was the children of day-men who were worst off—labourers who were employed by the day, just at times of need. The children would sleep several to a bed, and have little to eat but bread. “I remember when I was about five they used to have a candle-factory in the alleyway in Fore Hamlet in Ipswich. They used to boil the mutton fat and then the candles were dipped into the mutton fat. Well, on a Saturday evening when the factory was practically being closed the children used to come around and get the scraps of mutton.” Sam Friend, born 1888, as quoted in Where Beards Wag All. Children were expected to help at home before and after school. Then, at twelve years old, it was out to work. These reminiscences are from Winfred Spence, born in 1891 and are quoted in The Days That We Have Seen, by George Ewart Evans. Country children did not have many options when it came to seeking a job. Girls would go ‘into service’ as servants. Most boys went onto the farm, maybe starting as a ‘back’us boy’ (backhouse boys worked in the kitchen as well as on the land). Some would become apprentices with a village craftsman. “The earliest game of the season was hoop-bowling. Girls often had wooden hoops, boys metal ones driving them with a wooden stick [or] a bent iron rod. Following hoops would come hop-scotch. Then came tops. This was all done in the village streets. Every now and then a horse would come slowly trotting by, but this was our sports field. Then skipping, then the early spring flowers. I can remember very clearly how little gangs of us girls go off down the lanes to find the earliest violets, later the most beautiful cowslips, the purple orchids, gorgeous wood anemones. This spring [in the 1960s] I found to my utter amazement that the fields had all been turned into one. Even the pond had gone.” Where Beards Wag All. “Mr Gladwyn is a very good man. and prays to God to give him strength to thrash the boys o’ Monday.” A Westleton rhyme, quoted in Life and Tradition in Suffolk and NE Essex, by Norman Smedley. 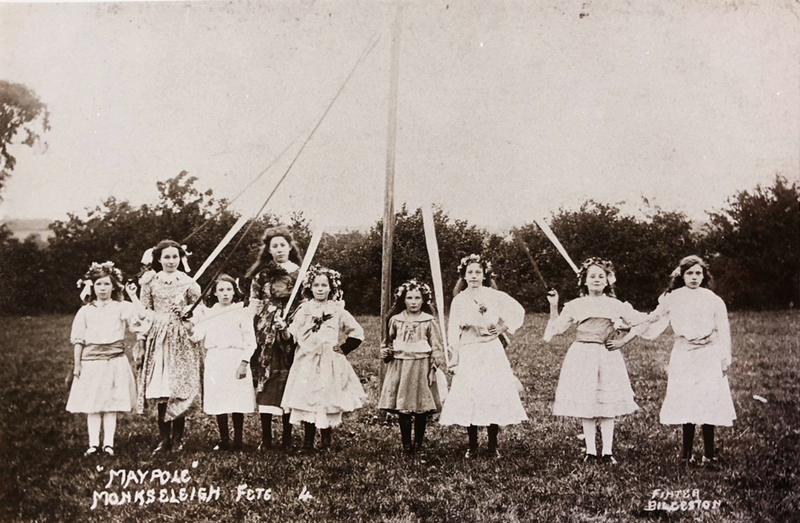 The Maypole at a Monk Eleigh fete. 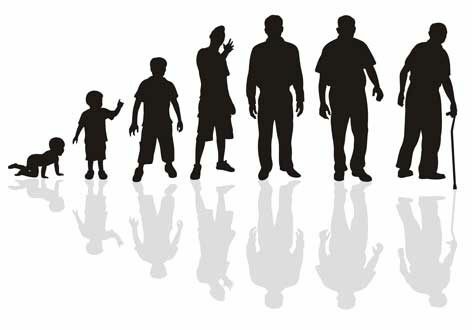 Your experience of childhood, as all the other stages of life, would depend very much upon your social background. 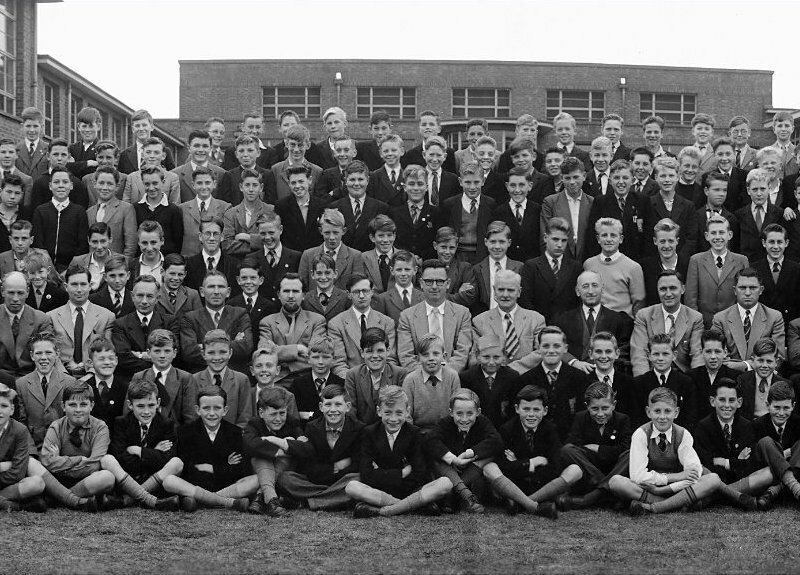 Children from wealthy families were likely to be sent away to school, so they missed the experience of living in Suffolk, for this part of their lives at least. It did not become compulsory for each area to provide a school until 1870, but there had been National Society church schools in many towns and some villages since the 1840s. There were also dame schools, and some clergymen taught the basics to the more promising children of the parish. There were grammar schools in the towns for the ablest children, but most stayed at the all-age village school until they achieved their ‘Labour Certificate’ at about the age of 12. Without this a child could not gain employment—but considerable licence could be used by the school inspectors who were testing them. ‘Youth Culture’ is a fairly recent, post-war, phenomenon. Young people then followed the dress code of their elders, rather than ‘setting the pace’ as perhaps they do today. In the 19th century, children left school earlier than now, but were slower to mature physically. This meant that there was a gap of several years for most people between leaving school and courting. How to fill that gap? Something that would use up energy and where one could make a bit of a show? In the summer, quite apart from work (and there was always plenty of that), there were other possibilities. 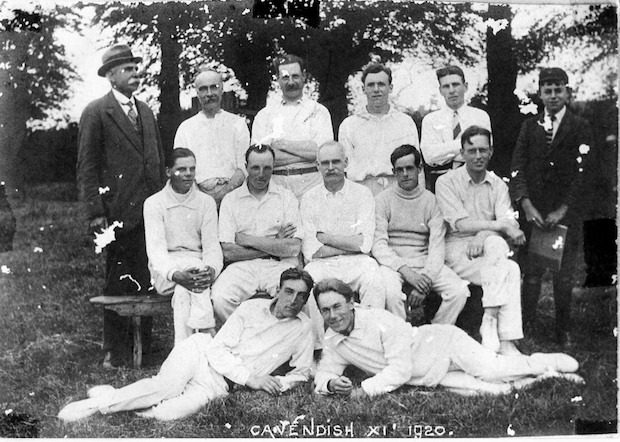 Members of Cavendish Cricket Club. 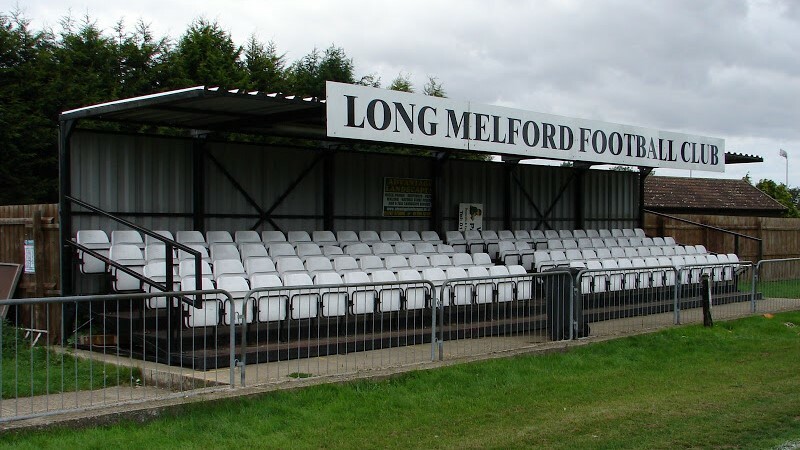 Football at Long Melford FC. Apart from sport, there were sometimes theatricals—to take part in as well as to see, if you moved in the right circles. Then, from the early years of the 20th century, you could ‘go to the flicks’—i.e. see a film—if you could get to town. 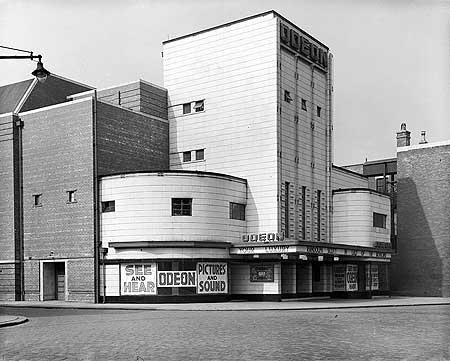 Bury’s Odeon cinema opened in 1937. Later it changed its name to the Focus, before being demolished in 1983. It was conveniently close to the bus station. Cinema was mass entertainment in the 1930s—it was not just for courting couples. Still, when the thoughts of the young apprentice, or girl in service, did turn to love, the back row of the pictures was a time-honoured place to pass an hour or two. It was always possible for an adventurous, or desperate, young man to enlist in the Suffolk Regiment. For those who drew the line at becoming full-time time soldiers, though, there were other options. Service in the local militia was an important stage in many a young man’s life in past days. Each parish provided an agreed number of men, who had to train, and serve if called. Those slightly higher up the social scale might enrol as volunteer members of the Suffolk Regiment. They had their own battalions and it was similar to being in the Territorial Army now. In fact the Volunteer battalions were transformed into the Territorial Force (later the TA) when it was established in 1908. The Loyal Suffolk Hussars were the most affluent of all the volunteers, being men who could provide themselves with a horse. They fought as infantry in World War I, as part of the Suffolk Regiment, before reverting to an earlier name: The Suffolk Yeomanry. Women did not have the opportunity to become soldiers until World War II, when there were women’s branches to of all three of the armed forces. Shakespeare was referring to magistrates, or Justices of the Peace. There were many in Suffolk. For minor cases, they held ‘courts of Petty Sessions’ in numerous small towns, including some—like Ixworth—that we now think of as larger villages. Groups of magistrates tried more serious cases at the Quarter Sessions, held in Ipswich, Bury St Edmunds, Woodbridge and Beccles. Professional judges dealt with the most serious cases of all, at the Assizes. These were held in January and July, alternating between Ipswich and Bury St Edmunds. Perhaps the most famous trial was that of William Corder, for the murder of Maria Marten, in 1828—the notorious Red Barn murder. Corder was hanged in a meadow outside Bury Gaol, in front of a crowd of some 10,000 people. After a hard day on the bench, a justice might wish to join a gentleman’s club—possible in Ipswich or Bury. Or maybe go to a concert. Failing that it was possible, in time, to enjoy fine music in the privacy of one’s own home. Nowadays, we do not mock senior citizens, of course. There is the University of the Third Age, and even the OAP tag has given way to ‘Senior Citizen’. But what about the days between Shakespeare and ourselves? How were older people regarded then? There were no pensions before the 20th century, and no old people’s homes, so people worked for as long as they could, and counted upon family to look after them when they could no longer live independently. They were no doubt as useful as they could be—perhaps using early versions of the lawn mower from time to time. By then there were more options open to the elderly—but many continued to live with relatives. There was always the pub, of course, for those so inclined, and hobbies to enjoy, if you were lucky. Like some elderly people now—who feel stranded for lack of expertise with mobile phones and computers—the generation born at the end of the 19th century came to feel by-passed. It seemed that the changes of their day had led to younger people belonging to a different world from the one that they knew. It was pleasant, of course, to be on mains water and electricity, but the passing of the horse, and the mechanisation even of farm work, left many elderly people feeling: The young ‘uns, you can’t tell ’em nawthin’ . It is hard for us to appreciate now just how precarious life was in days gone by. Until the 19th century, each parish supported its own poor, from the rates. In 1834, though, that changed with the passing of the Poor Law Act. This required ‘Unions’ of parishes to set up workhouses. There was supposed to be an end to all relief given to those remaining in their own homes—though the Union officials rarely implemented this fully. In the workhouse couples were split up; people (‘inmates’) had to wear uniform, and of course they had to work. Often the women would operate a laundry for the surrounding area, men would grow food and the very young and old would ‘pick oakum’—that is, unravel ropes so that the threads could be re-used, often for caulking boats. Finally, of course, came the curtain call that cannot be denied. Just as we are hatched and many are matched, in the end all are dispatched.